The No Wash/Dirty Protest inside Maghaberry against beatings, strip searching, torture and now the chemical spraying of cells, continues. On the streets, solidarity also continues. The Cork-based Prisoner Solidarity Group will hold a picket at Daunt Square at 3pm, Saturday, September 29. The PSG is calling on those that have supported the pickets in the past to come and join the protest this Saturday and show a united front both in support of the prisoners and against the recent political policing by the Special Branch. Please let others know about this protest and encourage as many people to come along as you can. PSG activists and supporters have received summons and fines for white line pickets and postering, all very basic activities that all groups should defend. 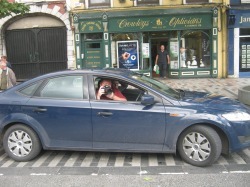 The Special Branch hasn’t even bothered with the usual practice of stopping people and getting their names and addresses – they clearly have all these and just pass them on for the gardai to move on prosecutions for trumped-up accusations of blocking traffic and disturbing public order, even though the pickets are peaceful, legal and informational. Defend Cork’s right to peaceful protest! éirígí Dublin City Councillor Louise Minihan has expressed the socialist republican party’s support and solidarity with the protesting workers at Tipperary Water’s distribution plant in Cherry Orchard. Workers at the plant, who began a protest their at 9am on Monday, 24 September say they have been forced into redundancy for joining a trade union and organising against attacks on their pay and conditions. Despite recording profits of 4.7 million euro in 2011 and 4.5 million euro in 2010, the company has imposed pay cuts of 8% over the last three years. The company has also been attacking working conditions at the plant by forcing staff into redundancy only to replace them with temporary workers. Three of these redundancies were voluntary, while the remaining ten were forced by the company which stated that the workers were not suitably skilled. The company then took on ten temporary workers within days of the redundancies. 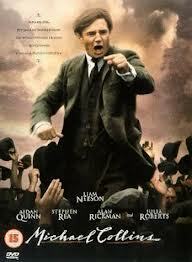 Director Neil Jordan waited ten years to make his movie about the legendary republican leader. It was only when the IRA leadership declared a ceasefire, as of September 1994, that Jordan felt comfortable about beginning it. Needless to say, the end of the ceasefire, just as production was drawing to a close, made Jordan uneasy about the possible effects of the film. Like the rest of the comfortable southern Irish middle class, one of Jordan’s chief preoccupations is the way in which raking over the past may end up legitimising the struggle for Irish freedom today. The southern Irish establishment has moved over the past 20 years to ban republicanism and root it out of society, through a combination of repression, censorship and rewriting of history. In this situation, the movie came as a breath of fresh air for a public deprived of knowledge of their own recent past and daily subjected to a barrage of anti-republicanism from the Irish and British media. Debate raged in the Irish papers and on radio and TV about the film and the effect it might have in winning sympathy for the anti-imperialist cause today. Indeed, in Ireland virtually all representations of the past – whether in history books, films, plays or any other medium – are written with the present in mind. The southern Irish establishment has been particularly keen to expunge the long history of British injustice in Ireland and to legitimise the neo-colonial set-up over which it presides as Britain’s partner in maintaining exploitation and oppression in the country. In the end Jordan and the southern establishment’s fears are somewhat overdetemined. 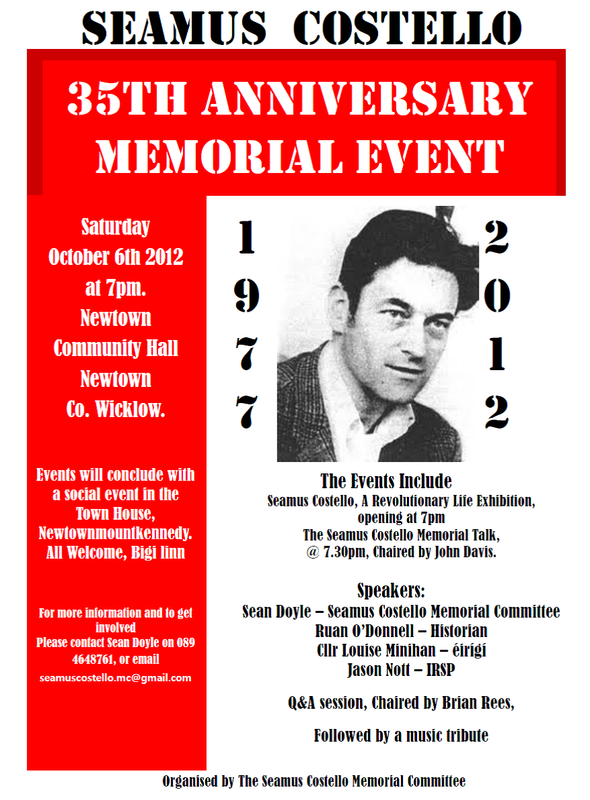 There’s a report on the Saturday, September 15 march on the éirígí site, here. Shell to Sea have launched a new report on the give away of oil and gas in Ireland by the Dublin government. The report is called Liquid Assets. Trade Union TV’s video of the campaign press conference releasing the report can be viewed here. The natural gas and oil assets are valued at up to €1.6 trillion. At a time of massive cutbacks, these resources essentially are being handed over to private companies. The cuts to workers and the handouts to big business unite Fianna Fail, Fine Gael and Labour. The Seamus Costello Memorial Committee will also be erecting memorials across the County to remember Seamus’s life; please keep in contact with the committee for further details. While thousands of families languish on housing waiting lists in the south of Ireland large chunks of new housing estates lay unoccupied because ‘developers’ can’t sell them at a big profit or because the developers have gone bust in the financial meltdown. This is a classic example of how capitalism doesn’t work. Despite all the propaganda about how well the market works, the reality is that the market is just a thing – it cannot consciously match up needs and resources in order to maximise positive outcomes for the majority of the population. A new branch/ciorcal of éirígí has been established in Loch Garman (Wexford), following the decision of a number of activists in the county to join the socialist-republican party. Among the activists is John Dwyer, a former long-time Sinn Fein activist and, since he left SF in 2009, an independent councillor in New Ross. Anti-household tax campaigners from Newbridge and Kildare town protested against Joan Burton outside Hotel Keadeen in Newbridge on Monday. Burton is the minister of social protection, a ministry which sounds like something out of Orwell’s 1984, as the function of it and her is to keep people down and in poverty. Burton is a longtime fake-left Labour Party hack. Now she’s got the baubles of office, the fake-left facade has tended to give way to more blatantly right-wing outbursts on her part. “There is, of course, a paradox inherent in the Blanket’s stance of being, on the one hand, supportive of peace, but simultaneously critical of the abandonment of core ideological tenets that had sustained the republican armed struggle. The dissidents pointed out that republicanism aimed to coerce the British from Ireland forciby and to discredit the notion that Unionist consent was needed for the British to leave. But the Blanket contributors never made clear how it could do so peacefully.”45 (Emphasis added – EOS). 45. See “Radio Free Eireann Interview With Brendan Hughes,” Blanket (March, 2000). Hughes said, “I don’t have an alternative, people keep saying to me if your (sic) going to criticize put up an alternative. I don’t have an alternative, the alternative is within the republican movement.” http://indiamond6.ulib.iupui.edu:81/BH60208.html. (Emphasis added – EOS).